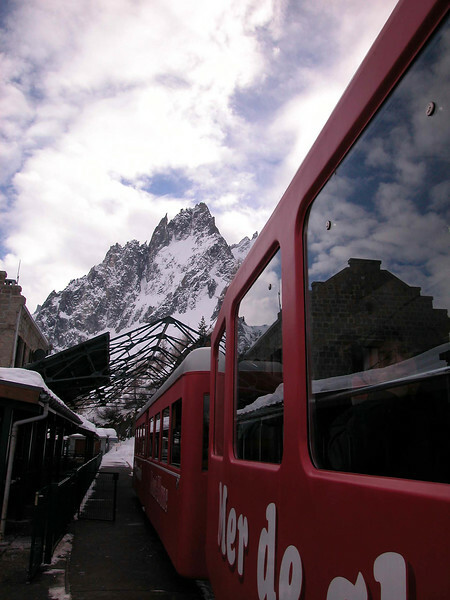 Aiguille du midi - Chamonix Mont-Blanc Peaks. 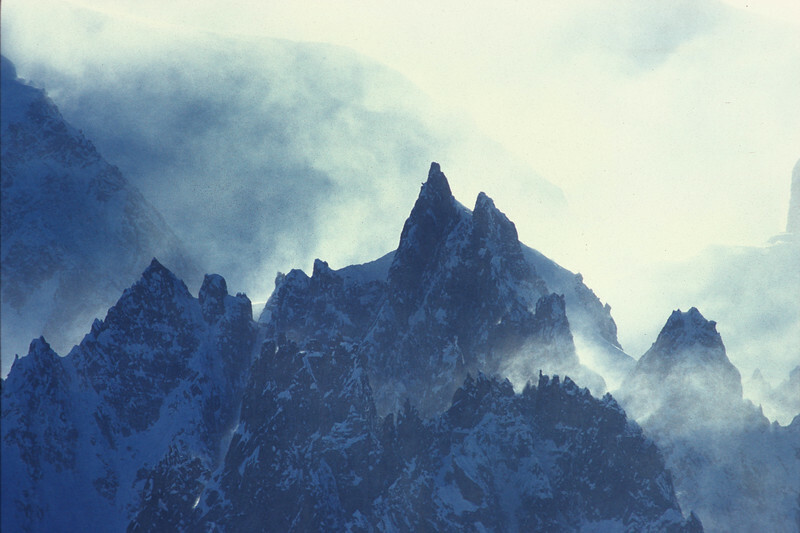 Looking into Chamonix valley from the Grand Montes, France. 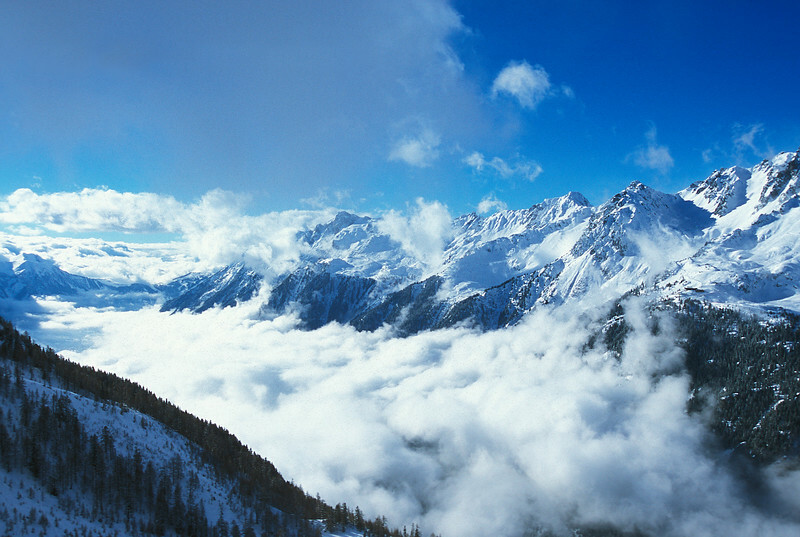 In 1924 Chamonix hosted the first ever Winter Olympic Games.